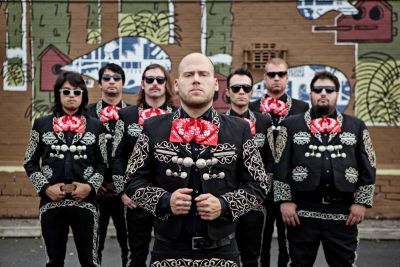 Following the release of their well-received second album, ‘Mariachi El Bronx (II)’, in September, Mariachi El Bronx have announced a UK tour for later this month. Alongside it, they will release album opener ’48 Roses’ as a single on November 28 through Wichita Recordings. Having just completed an arena tour supporting The Foo Fighters, they also recently made their debut US national TV appearance on Jay Leno, playing the forthcoming single ’48 Roses’, which you can watch below. For more information visit the official Mariachi El Bronx website.